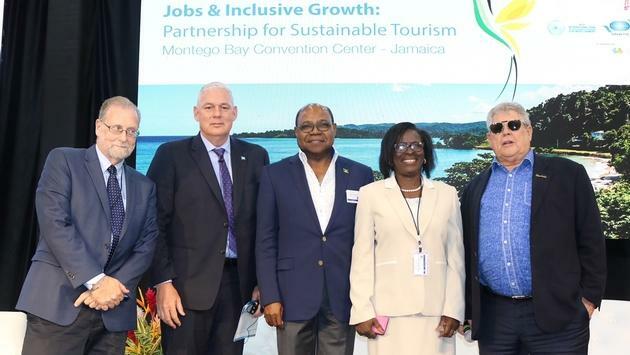 Global tourism leaders met in Montego Bay in Jamaica this week at the largest, United Nations World Tourism Organization meeting ever held. The event focused on jobs, inclusive growth and sustainability. Throughout the various panels and discussion periods over the three day event, the key thread woven across all areas of discussion was on developing strategies on how to bring private and public sectors together toward a common goal. The Honourable Minister for Tourism for Jamaica Mr. Edmund Bartlett received accolades throughout the event from his peers for his tireless affords to ensure this conference came together. His Excellency, President of the Dominican Republic Lic. Danilo Median welcomed the audience on Tuesday evening at a gala dinner with the keynote address. In his speech he noted; according to world tourism figures in 1950, tourism moved 2 billion dollars on a global scale. In the year 2000, it reached 495 billion dollars and, following this curve, accelerated upward - in 2015 it had reached already a trillion and a half dollars. This represents 10% of the world Gross GDP. This means Tourism is ranked third in the world for global exports, often ahead of fuels and chemical products and ahead of automotive products and food. He added that as result of these numbers, either directly or indirectly, global tourism is responsible for 1 out of every 10 jobs. Jamaican Prime Minister Andrew Holness, said in his keynote address during the opening ceremonies, "Tourism dependent countries like many Caribbean nations, must critically consider how our tourism product should adapt and evolve to reflect the new realities: climate change, evolving tourist preferences, terrorism, security and travel safety concerns and new, emerging markets, products and technology.” He added it is a time when we must truly embrace and give meaning to Travel, Enjoy, Respect.” He concluded by saying “Tourism must endure inclusive growth where everyone participates in the growth process, and everyone shares equally in the benefits of growth”. This begs the question - how do distribution partners such as tour operators and travel agents participate in this strategy? One would argue that these channels sit at the forefront of contibuting to this change. The best way an agent can assist in this drive for sustainability is to encourage clients to enjoy the local attractions. Explore local restaurants. Wherever possible, take advantage of the opportunity to pre-sell destination tours and attractions. You will more than likely be enriching the lives of your clients while contributing to the sustainability of tourism, and also earning extra revenue for yourself. 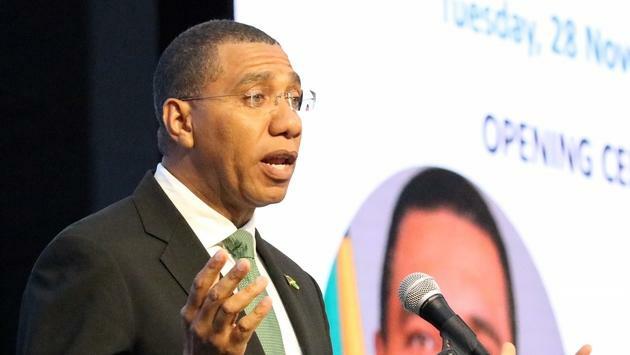 “Job creation and a sustainable tourism strategy for the Caribbean and indeed Jamaica, is a necessary step in ensuring we grow our market share of Global Tourism. I am certain Jamaicans are beaming with pride all over the last couple of days as we have been able to showcase our beautiful country to some of the greatest minds in the tourism field,” said Philip Rose, Director, Jamaican Tourist Board in Canada. “The tireless efforts of the entire team in order to make this event happen, have paid dividends for Jamaica and Global Tourism,” added Rose. 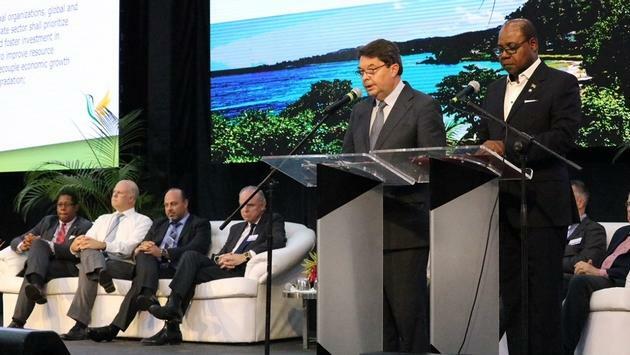 Minister Bartlett and Carlos Vogeler executive director of UNTWO introduced and put into effect the Montego Bay Accord. The accord outlines multiple element which the UNWTO have agreed upon in order to deploy strategies in line with their core objectives.